The AIR FORCE CENTER DÜBENDORF is the new homebase of a 747-300 «Airforce one» Flight Simulator, ready for commercial use by 2017. The largest simulator, than ever there was and will be! 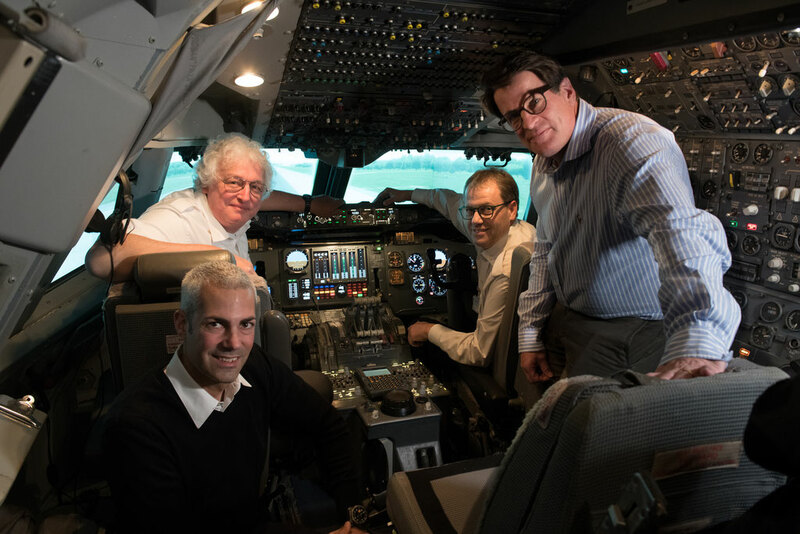 Our 747-300 is an original cockpit, which was cut from England for the SimCenter in AIR FORCE CENTER! The 747 Air Force One is set up under the direction of the AIR FORCE CENTER and is expected to be ready in 2017 for commercial use! 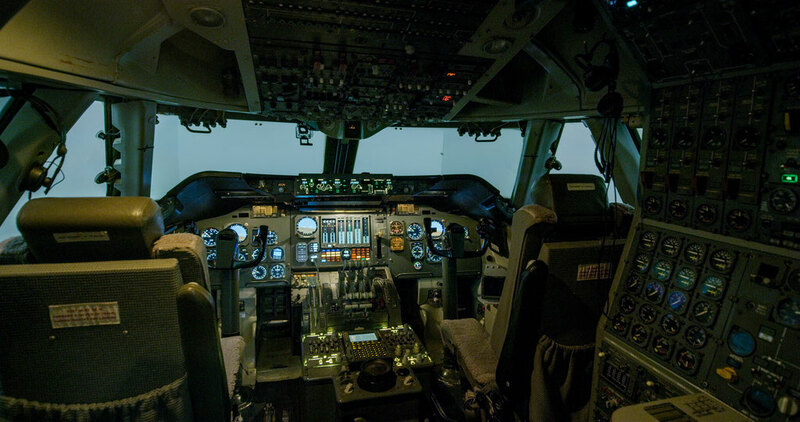 The 747 Air Force One Simulator allows three-man cockpit flights and can be booked at the AIR FORCE CENTER. It offeres flights across Switzerland and all over the world, accompanied by instructors. Each flight graduate will get a flight certificate after his 747 Airforce One flight. The flight takes place in the original Jumbo cockpit of this serie. Flights are available from all civil airports in Switzerland as well as worldwide. What's special about our simulator is that today we can use the simulator for companies for training purposes such as flying and working after checklists and team building events. The AIR FORCE CENTER and his SimCenter get another attraction, the cockpit of the 747, the epitome of aviation, comes in a first step of coarse remodeling in Hall 9. This is a 747-300, exactly the same cockpit layout which Swissair once flew and still is in operation by the American government as the Airforce one! The 747 existed originally in different versions, -100, -200, -300, -400, -8 etc. With the acquisition of this unique complete cockpit a long-cherished wish came true: the Jumbo comes in our SimCenter. We are proud that we have managed after years of preparation to enrich our SimCenter in the AIR FORCE CENTER with this new attraction. This cockpit will like all other exhibits in the AIR FORCE CENTER not simply serve as "eyecatcher", but as a simulator. What are the next steps around this Jumbo project? The AIR FORCE CENTER as a meeting place offers to all visitors the opportunity to be part of this project. During the renovation, it is possible to accompany the project's progress and to stay informed directly on place. For aviation enthusiasts and those who want to be so, there is an opportunity for taking photographs inside and outside the cockpit. Where does our Airforce One come from? Our Airforce One comes from England, Kemble and had its last flight on June 27, 2015. It flew its lifetime for Qantas and has exactly the same cockpit as the Airforce One! 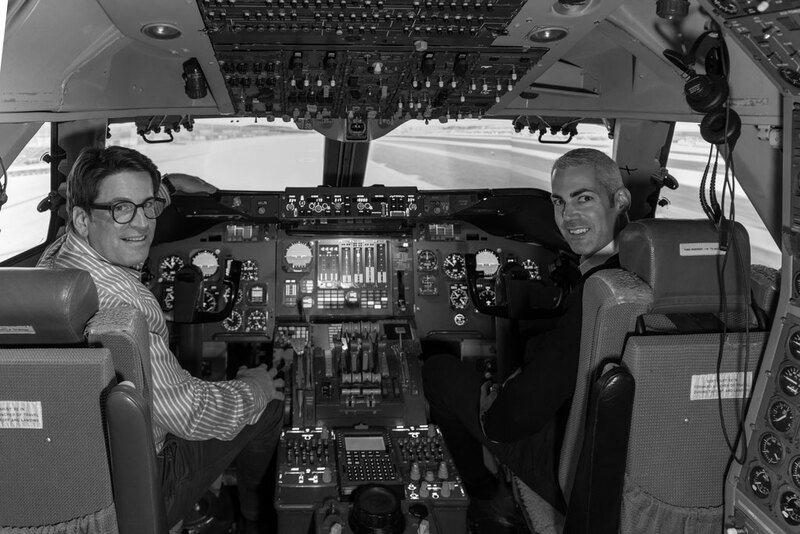 The cockpit of the 747-338 which is now in the AIR FORCE CENTER is corresponding exactly to the Airforce One in its characteristics and will take off again as Queen of the Skies. A few impressions of the B747-300, which was formerly almost 30 years for the Qantas in use. Soon the cockpit will experience a new adventure. Let yourself be surprised. 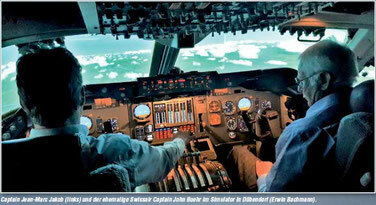 The AIR FORCE CENTER DÜBENDORF is the new homebase of a 747-300 «Airforce one» Flight Simulator. Im Airforce Center Dübendorf steht ein Original-Cockpit der Airforce One. Es ist der einzige Flugsimulator der US-Präsidentenmaschine in ganz Europa. SRF TV - "Schweiz Aktuell"